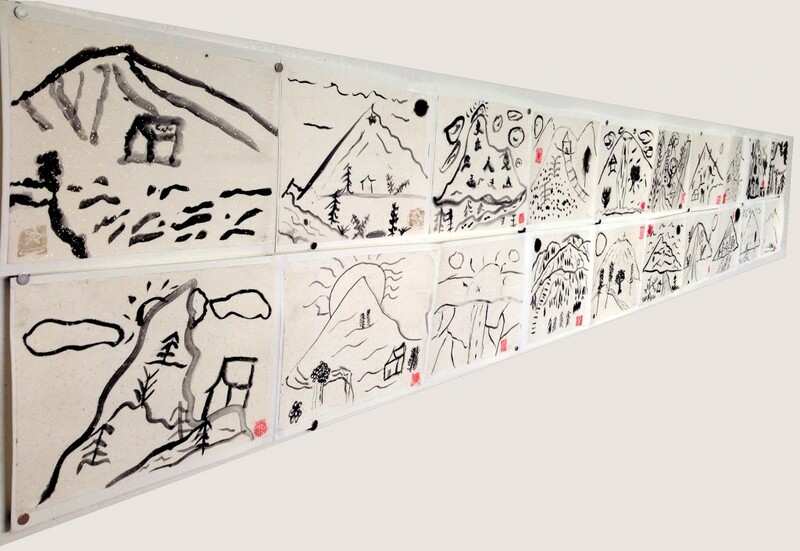 Young artists from Mary Silveira Elementary School created their own interpretations of local landscapes using traditional Chinese and Japanese brush painting techniques, led by Mentor Artist Julia James. This exhibit explores brush painting techniques and traditions, as well as how local children view their own natural surroundings through the medium of traditional Asian brush painting. Opening Reception for Mary Silveira artists & families, Wednesday, February 4, 3-5 p.m.
A FREE field trip experience including arts activities celebrating Lunar New Year is available for school and youth groups by reservation only. For more information, click here.